Great opportunity to acquire this modern apartment with 1 double suite in a recently restored historic building. 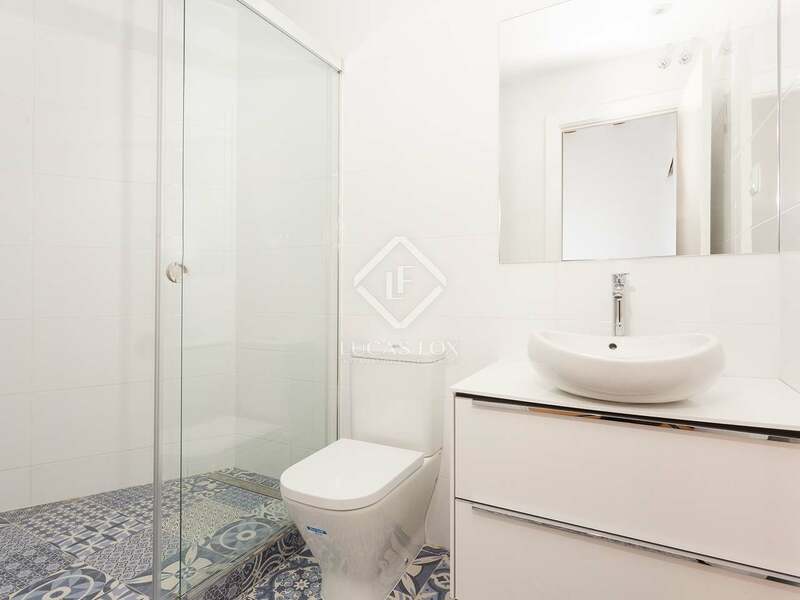 Ideal investment opportunity. 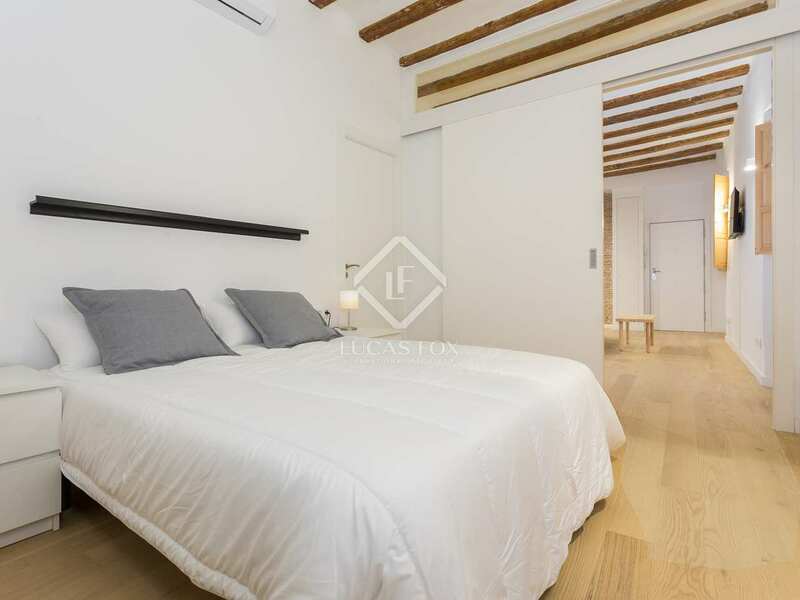 Possibility to create a second bedroom. 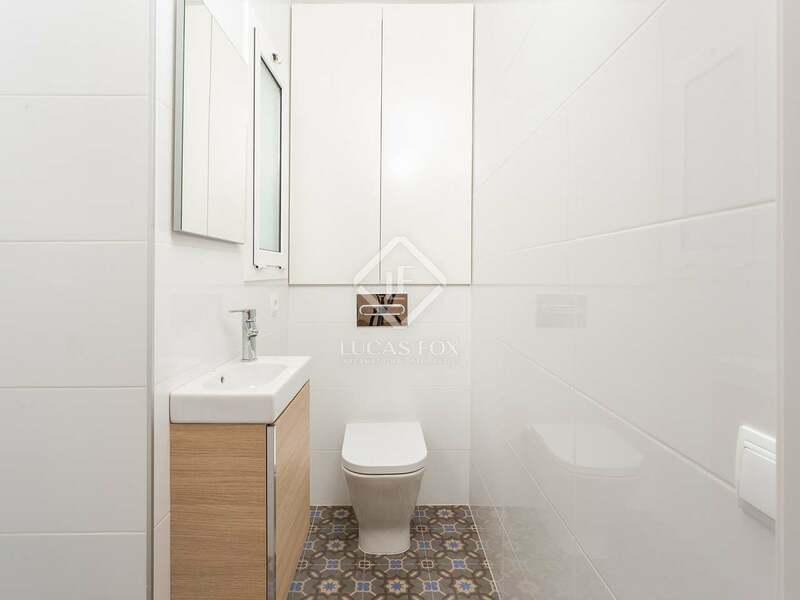 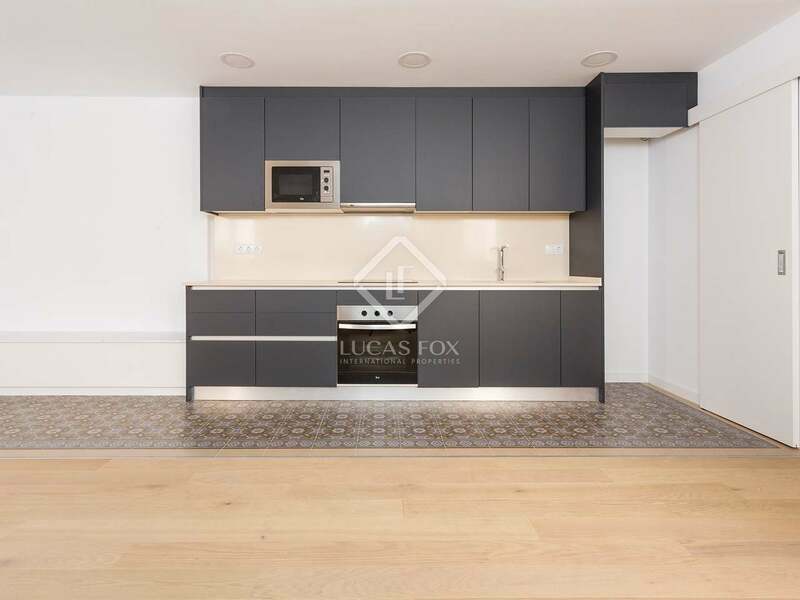 This stylish apartment has been recently renovated using high quality materials and great design. 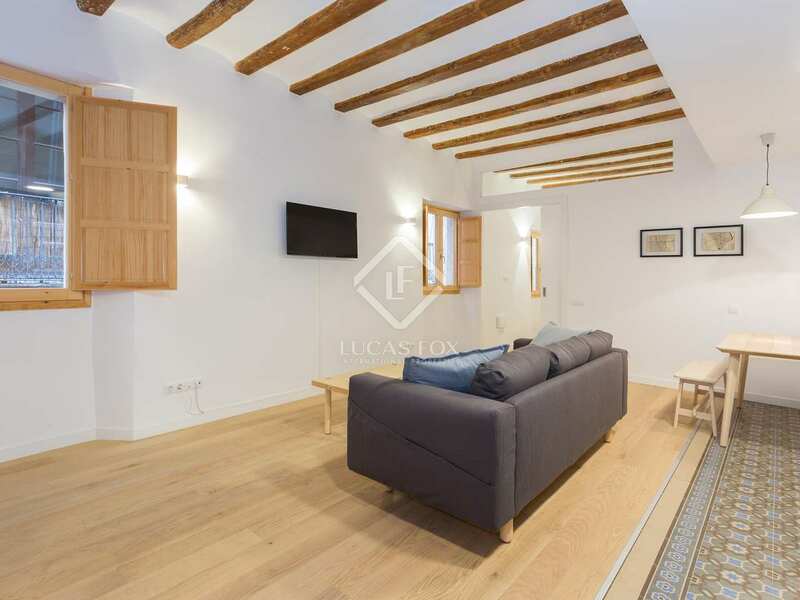 It is situated on the first floor of a building built before 1900, which was totally restored in 2017 so is therefore considered a new build. 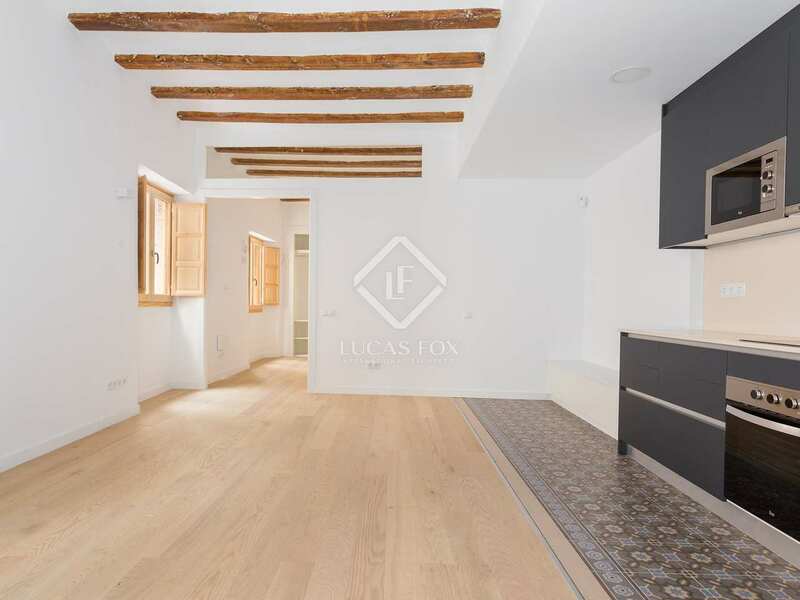 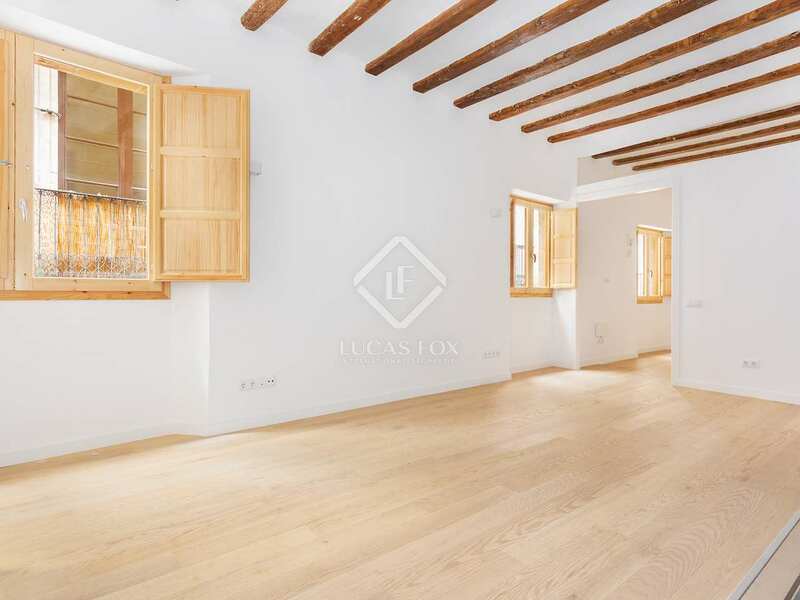 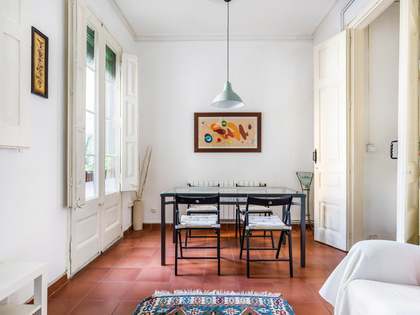 The property has both historic and modern features, with high ceilings, wooden beams, wooden flooring and new woodwork respecting the aesthetics of the location. 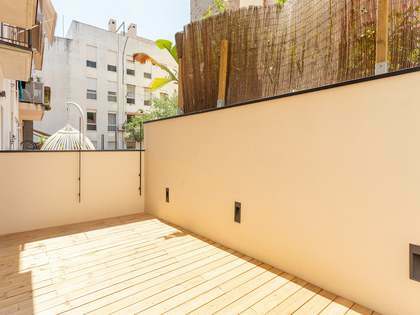 The apartment benefits from natural light and air-conditioning. 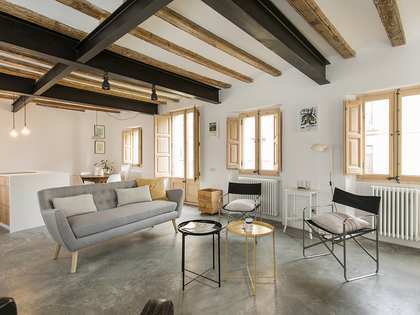 The design concept of the apartment is that of an open-plan loft. We enter the apartment through the day area where we find the living-dining room with kitchen all in one space, and a door to the guest toilet. 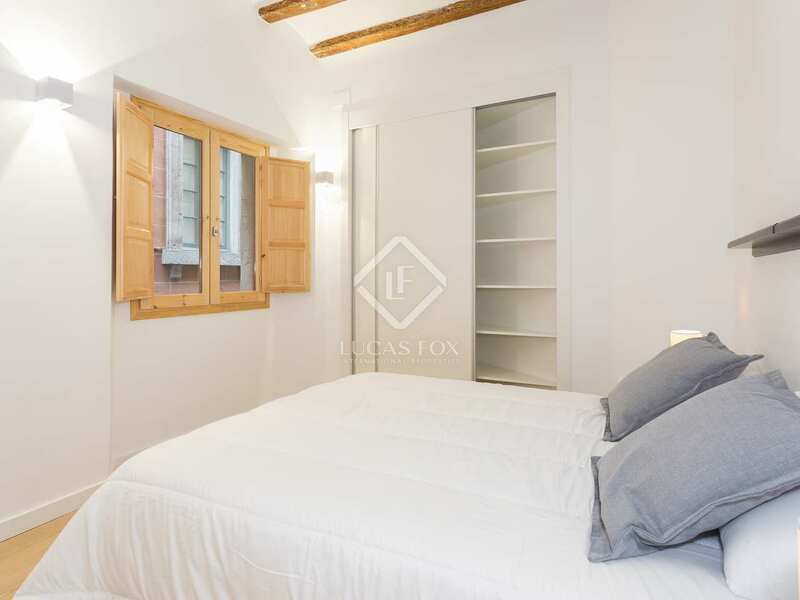 A large sliding door separates the day area from the double bedroom suite with fitted wardrobe and access to the main 3-piece bathroom with a shower. 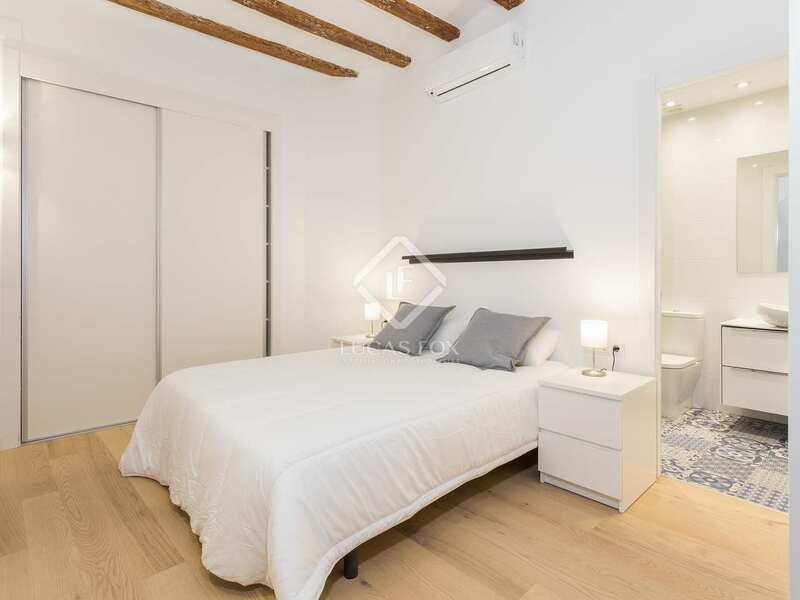 What's more, it would be easy to create a second bedroom. 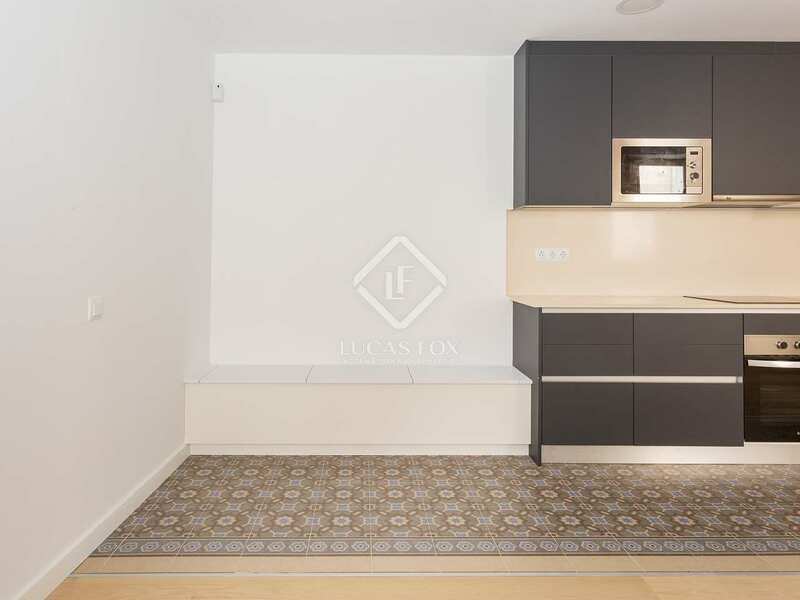 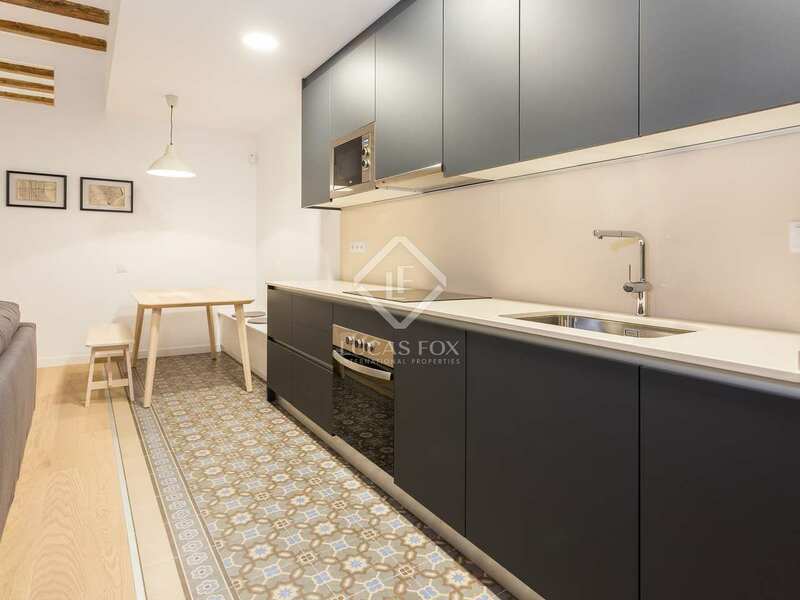 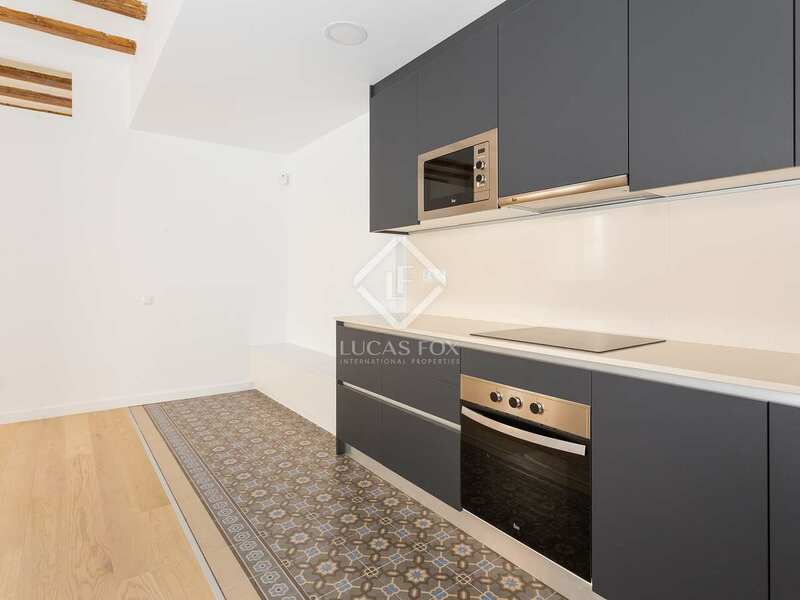 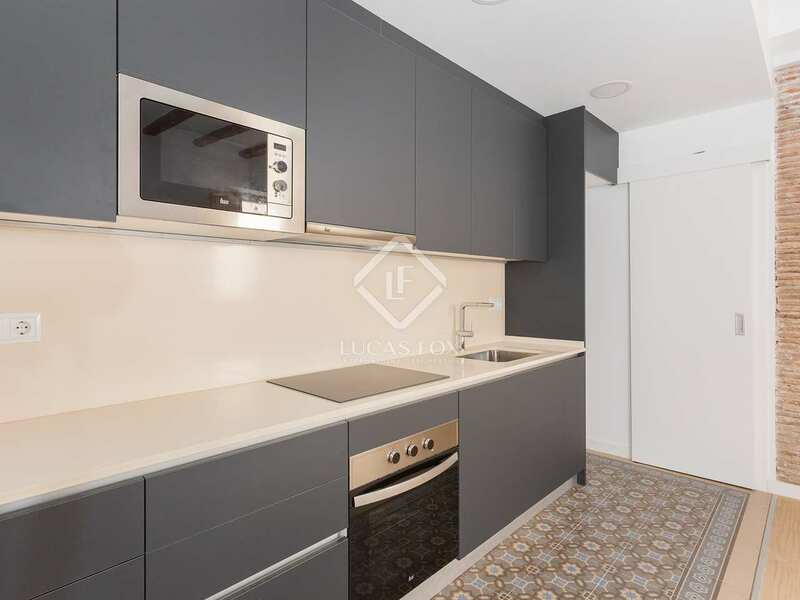 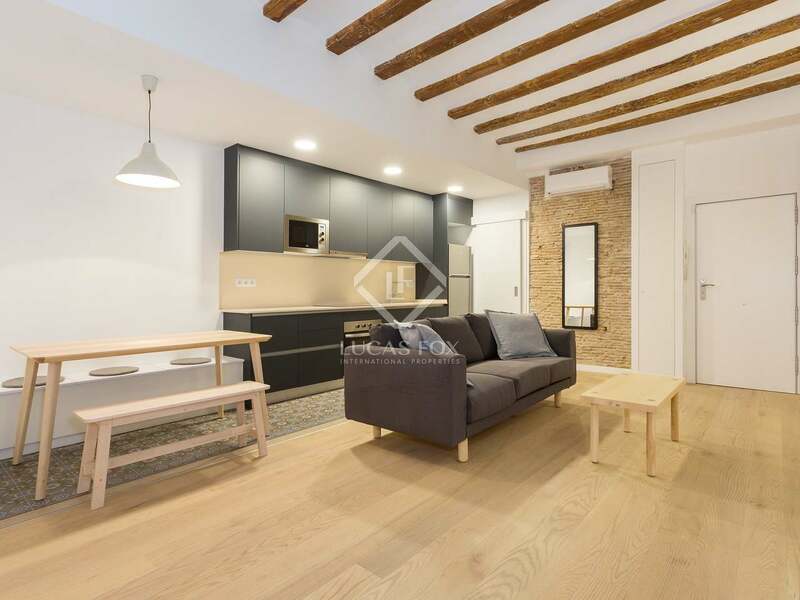 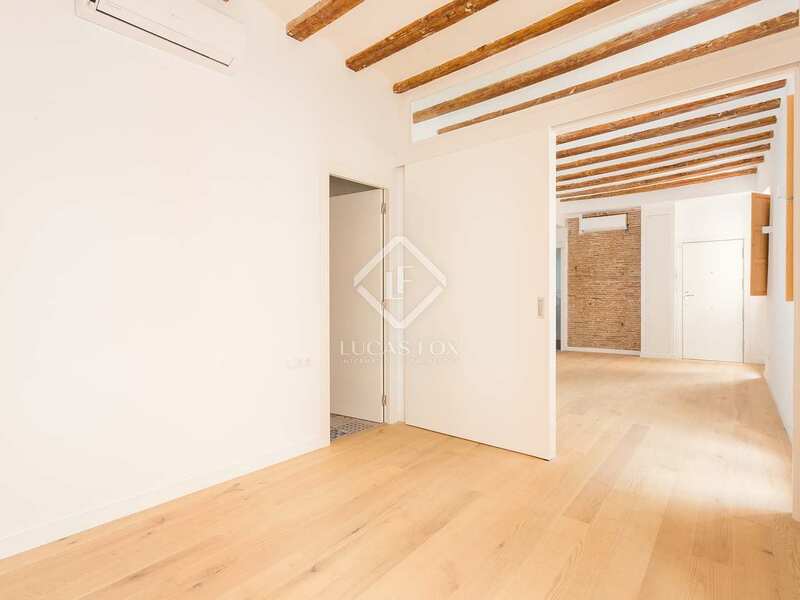 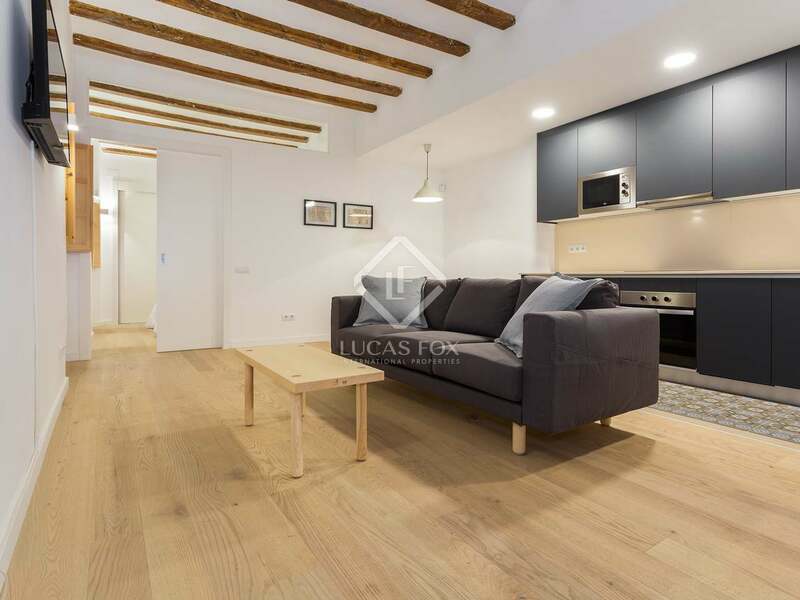 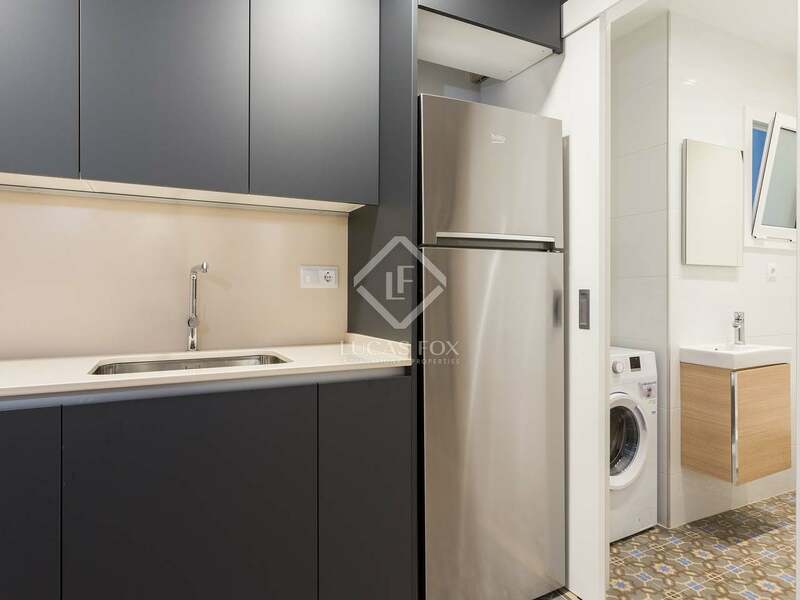 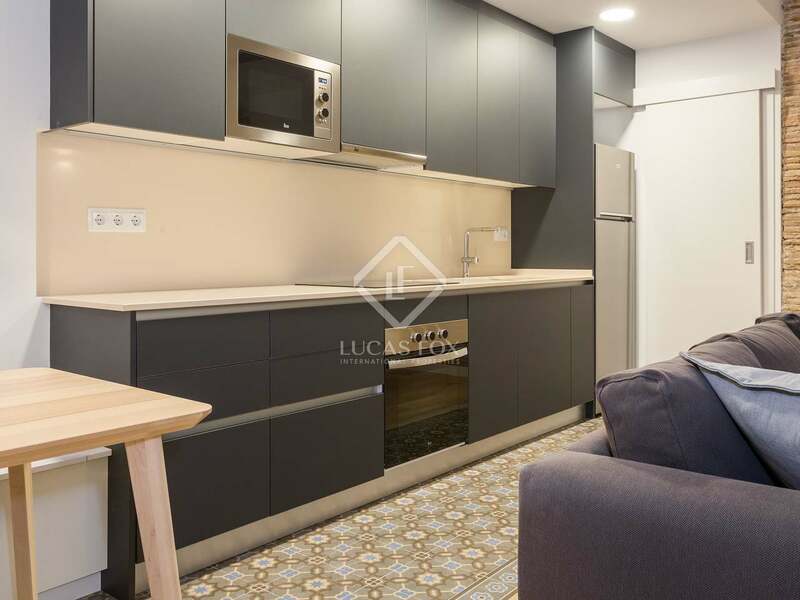 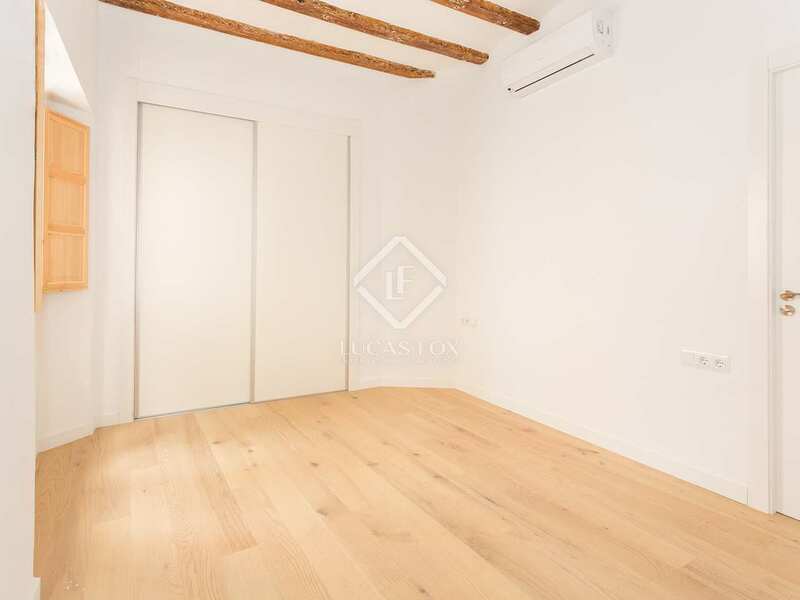 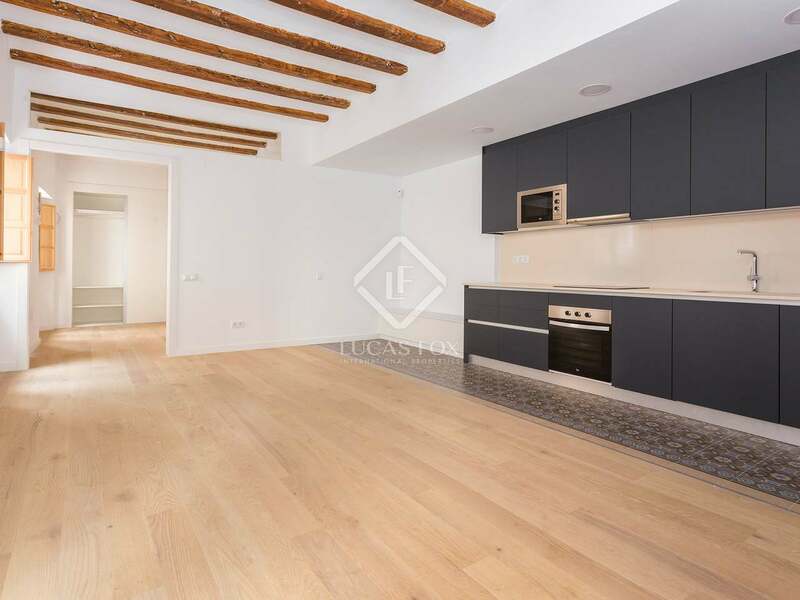 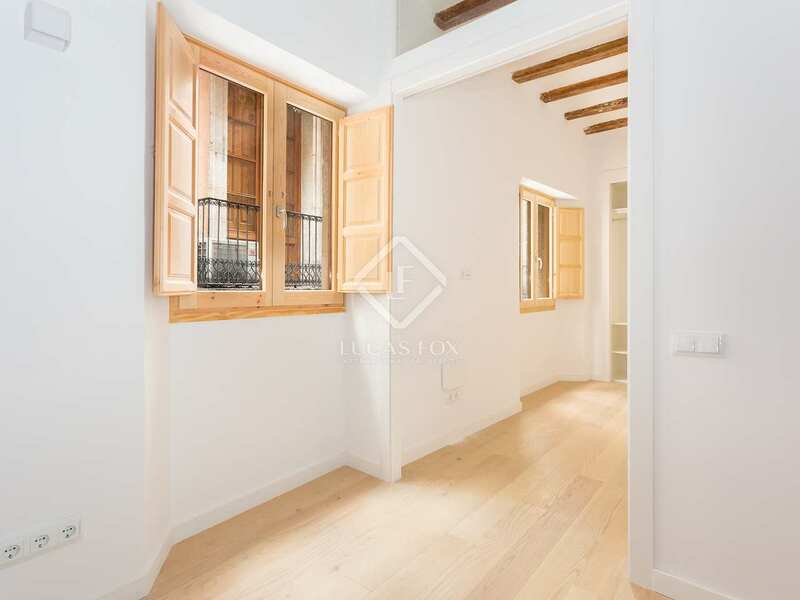 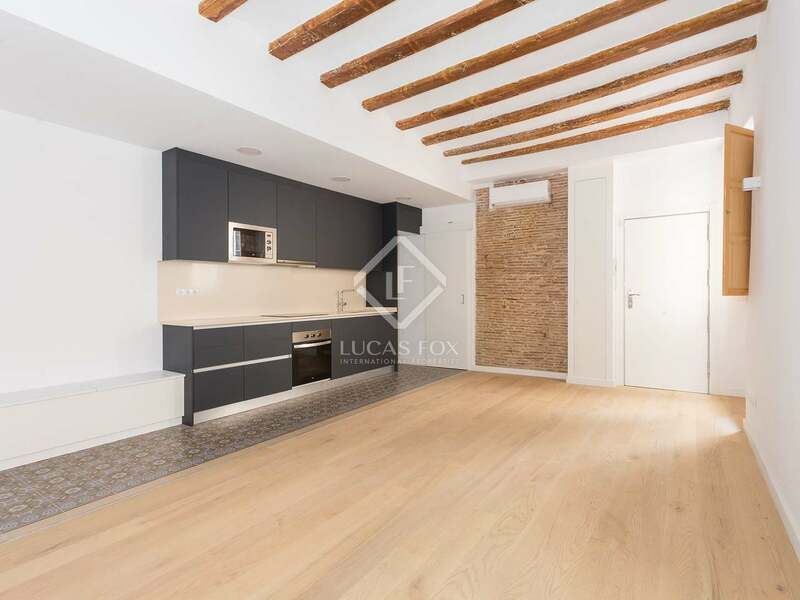 Due to its location in central Barcelona, this property is ideal for investors, offering 5% gross yield. 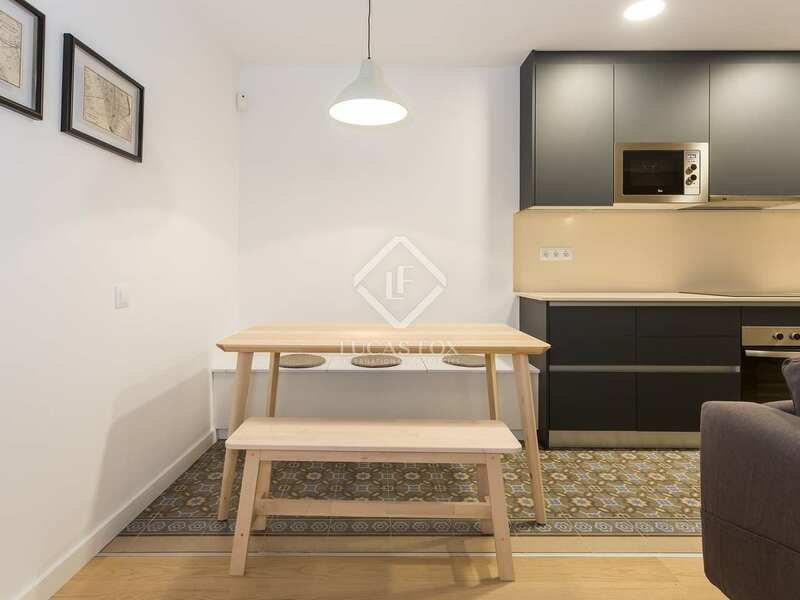 It would also make an excellent second residence. 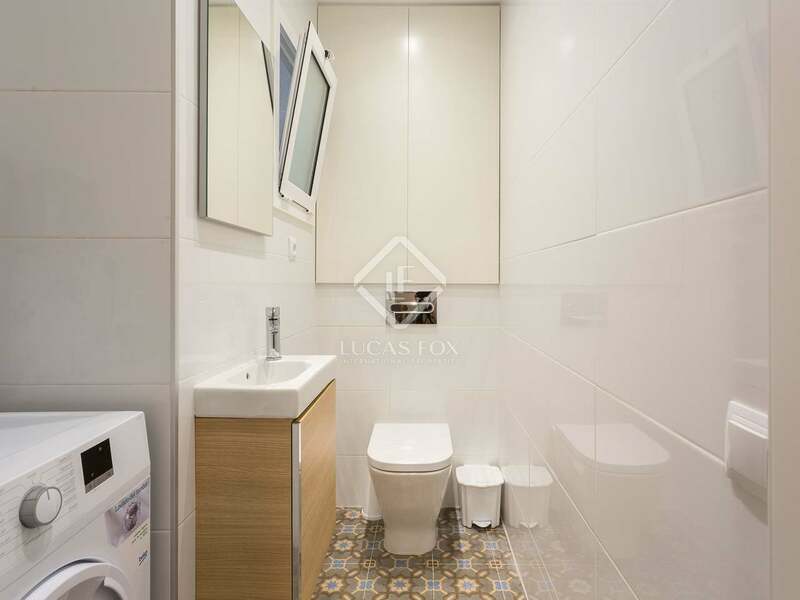 The apartment has a built area of 60.54 m² and a useable area of 46.37 m². 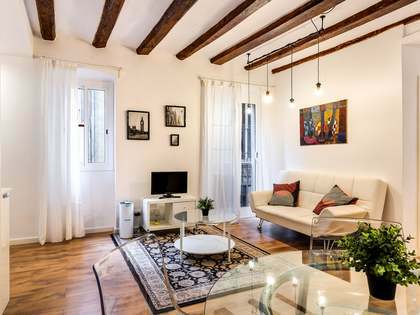 The apartment is located in the Born Alto area of Barcelona, next to Mercat de Santa Caterina. 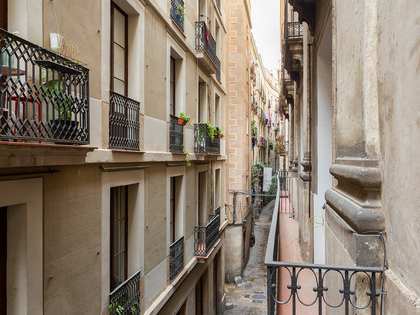 It is near Plaça Sant Jaume.